FR. RANIE’S HOMILY was not given justice in my article on the Sto. Niño last January 23 so I’m giving it the full treatment here. It was not his fault that I did not bring my ipad because I was singing with the 4:30 choir and only learned that Sunday that he was celebrating the Mass. His homilies never cease to inspire; the one on Jesus’ love for children (that He hewed forever to His childhood is inescapable) has to be shared. He had an anecdote to prepare the congregation for his homework. It was all the teacher could do not to hug the lovable lad. The Gospel, Fr. Ranie continued, revealed to us Jesus’ love for children, reminds us to see ourselves as children and remember that it is the humble who are the greatest in the kingdom of God. The humility of children is incomparable because it has no deceit; therefore, he who has it has the key to the Kingdom of God. The long Christmas season ended with the Baptism of the Lord. Only in the Philippines is it extended for an extra week to celebrate the Sto. Niño’s feast, every third Sunday of January, not that any Jesus-lover minds. 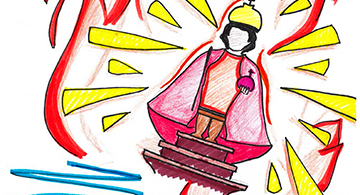 It is noted that two of the most popular devotions among Filipinos, both celebrated in January, are the Sto. 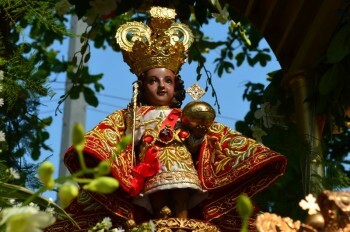 Niño, the helpless Child, and the Black Nazarene (January 9), the suffering Jesus. One could not help notice the parallel lives of the Child and the adult God. 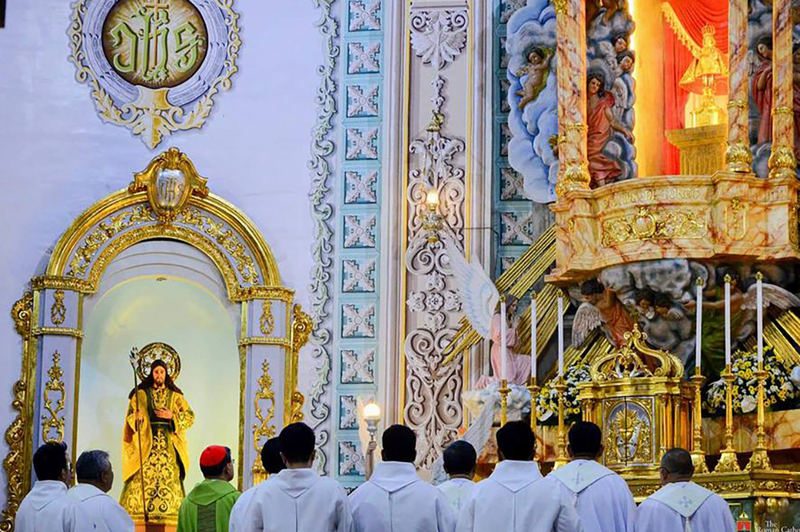 Historical – it commemmorates the coming of Christianity in the Philippines. Dogmatic – it is our way of professing our faith in the divinity of Christ who, even in His childhood, already held the world in His hand, a sign of the prophesy that He will fulfill later. Youthfulness of our population – at least 60 % of the Philippines are made up of young people and our young mindset loves life, the arrival of babies and we treasure them. When life is complicated, let us learn from their simplicity. When life is difficult, let us trust like them. When we are sad, let us look at them smile and laugh. When we are angry or proud, let their forgiveness, humility and love remind us to cool it. Finally, Fr. Ranie said that the Sto. 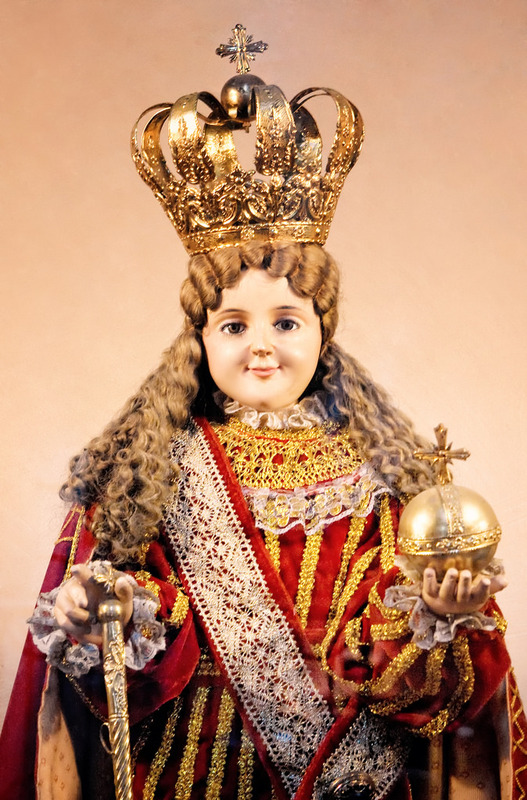 Niño reminds us to take care of our faith. While there is no doubt devotions boost our spiritual growth (and even our tourism industry), they should not remain in the ritual level and end as mere loyalty. They should, instead, be translated into an everyday conduct and way of life. Just as the Child in Jesus grew up and matured, so, too, should we, and our faith with us.